Fitted to the side of the barrel washer tank the filter elevator removes floating debris from the tank. Specifically required when a recirculation pump is being used. 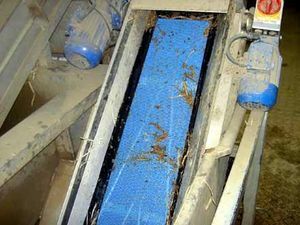 The filter elevator prevents debris and etc. from blocking the flow of water through the pump.